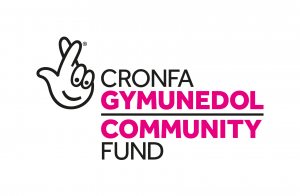 We are absolutely delighted to announce that we have been awarded our second grant. We will be running a series of trips and clubs in Wales thanks to an Awards for All grant – Home educating families will benefit from a residential science trip, Welsh lessons and trip to St Fagans, our drama club will receive equipment to film their shows, money towards costumes, a professional workshop, a trip to a performance and a backstage tour, and we will set up a new sea adventure club for older children local to Llandovery in Carmarthenshire. Our club for home educators closed when the venue we were using in central Gloucester closed down. However over two thirds of the participants have gone on to play for local clubs, and even represent South West England on a French tour. Congratulations to all! Congratulations again to Vicky and co for running such a successful club, and winning another iMechE grant for more advanced projects. Fizzypig is delighted to be supporting a group of home educators who are meeting regularly with a view to performing Sword in the Stone next year. The Warwick Castle day trip went down very well, so well that they went back again this month!